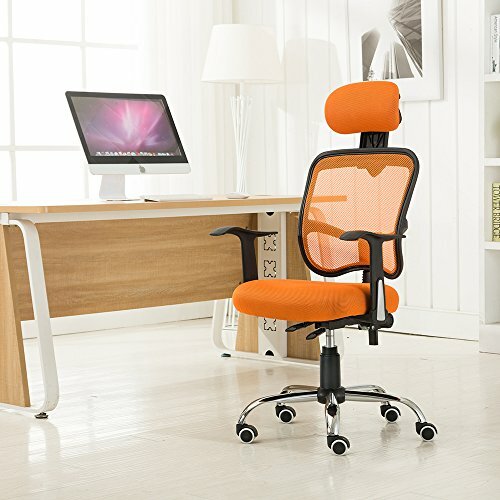 Work in comfortable style with this high/middle/low back computer chair. Ideal for home or office, the chair's modern profile offers a professional look, while its smooth contours and adjustable settings allow for all-day comfort, whether paying the bills or working on the computer. This mesh office chair comes in a variety of colors to accommodate surrounding decor or to show off your own personal sense of style. Easy To Move :The 360 Degree Swivel Design And 5 Wheels Make It Easy For You To Move. If you have any questions about this product by Cu Alightup, contact us by completing and submitting the form below. If you are looking for a specif part number, please include it with your message.